Goodhealth Home Care, Inc. is located in the city of Chicago Illinois and county of Cook. We are Joint Commission Accredited. 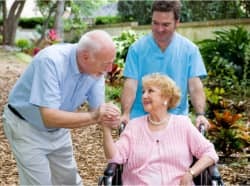 We maintain a professional approach in caring for your loved ones. At Goodhealth Home Care, Inc., our professional caregivers are experienced in their areas of expertise. We are insured and also involved in the continuous education of the changing world of health care.